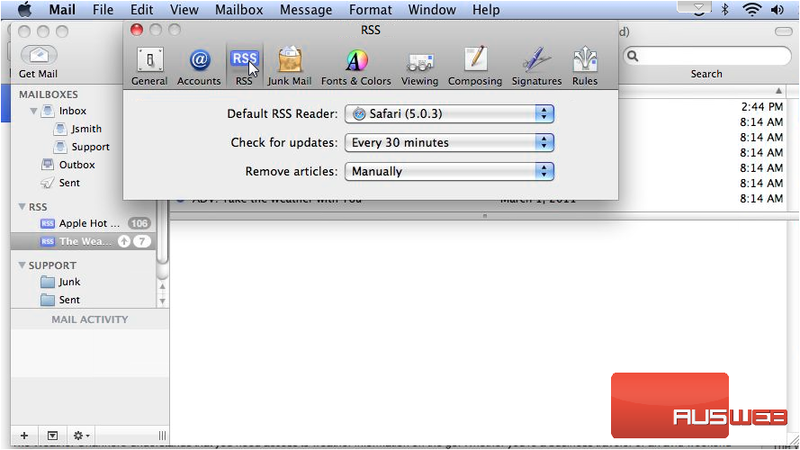 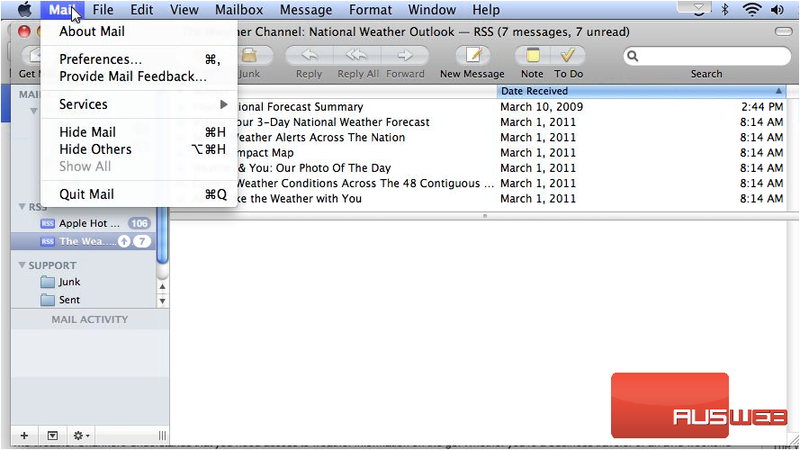 Before you can add an RSS feed to Apple Mail, you first need to find the feed in your browser. 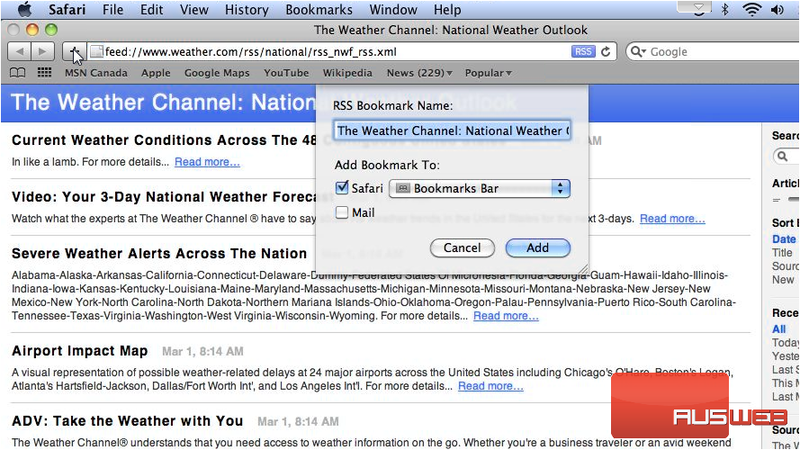 We’ll use Safari for this example. 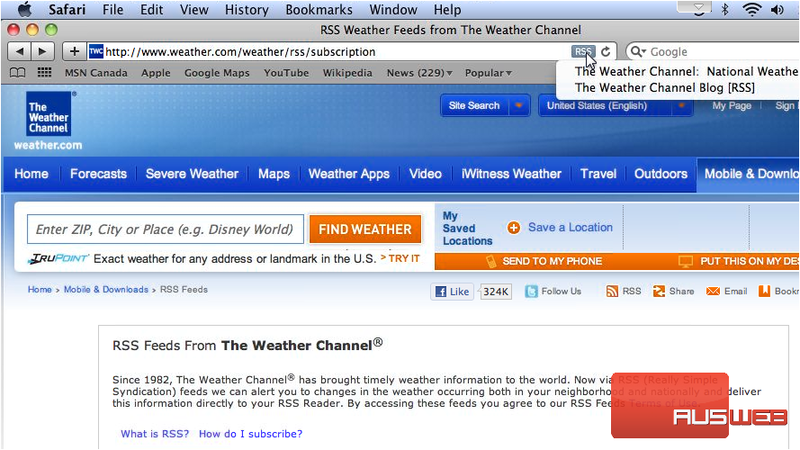 1) If the website has any RSS feeds available, an RSS icon will show at the far right of the address bar. 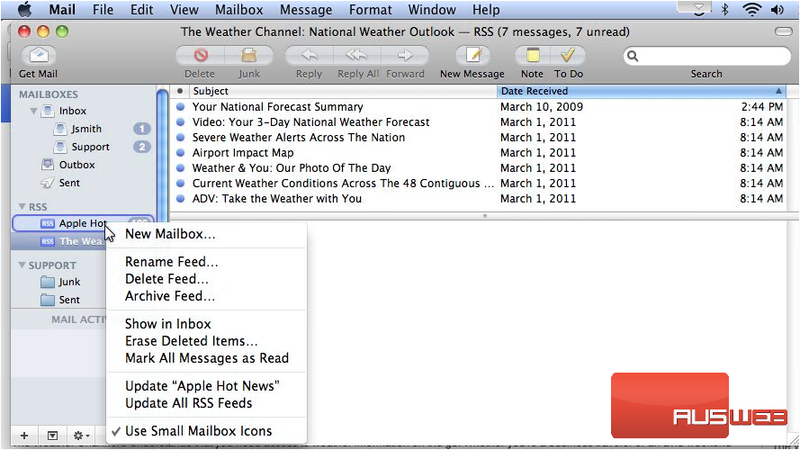 Click it and select the feed you wish to add. 2) Now click this plus icon… select where to add this bookmark… then click Add.